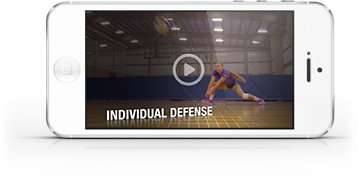 Jim Stone, NorCo Volleyball Club Coach, has found the most successful contact area is the midline of the passer. However it's not always possible for passers to get in this position. When working with passers, Jim wants them to be comfortable in a wide variety of postures to prepare for the randomness of serves. His training includes developing skills like using a drop-step for higher balls and dropping the inside knee to get low for passes.